To promote the highest standard of excellence in Teaching and Research. 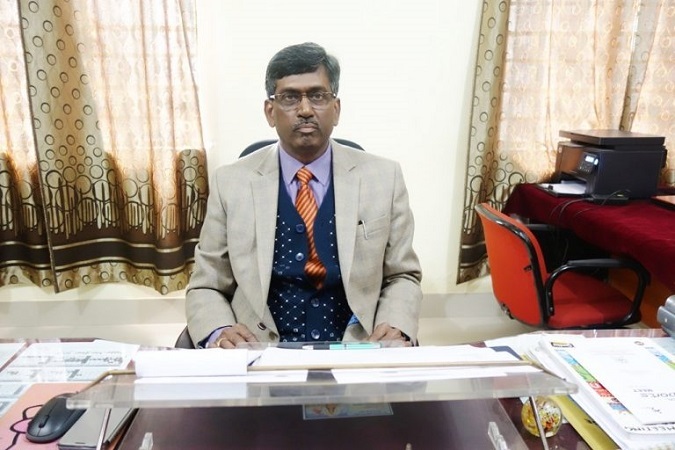 I am privileged to be the Principal of P K Roy Memorial College, a PG Constituent unit of B B M K University, Dhanbad. Recently the college has been given the status of Premier College of Jharkhand. Since its inception, the college is tirelessly catering to the needs of higher education of Koylanchal and its adjacent areas of Bengal. College has left no stone unturned to impart quality education to its students and instill confidence among its stakeholders. The grade ‘B’, awarded by the country’s accrediting body for institutes of higher education – NAAC, is the testimony. In the contemporary world, institutions of higher education have greater responsibility as they have to impart knowledge to develop skilled people, to keep pace with advancing technical knowledge, to develop new technologies to improve quality of life and to quench the urge to know the world of animate and inanimate, and above all create pure knowledge to fuel the system for its sustenance and further growth. Technological advancement, especially the digital information technology, has mutated communication system and there has been an emergence of information communication technology ecosystem in the last decade, which has propelled higher education system in future digital world. To cope with changes in the communication system and create an environment for its students, the College has introduced digital and smart classrooms. The introduction of ‘Swayam Prabha’ – a 32 channel, direct to home TV, provides quality video lectures of eminent Professors of the country on different topics in science, social science and humanities that can be viewed 24X7 with repeat telecasts. Use of ICT tools in the classrooms has change the teaching-learning processes and has catapulted the knowledge base of students. Further, to dovetail the programmes of Digital India, the college has registered itself with the National Digital Library of India and our students can access numerous digital books of their choice through the INFLIBNET which attracts teachers and students to have access to thousands of e-journals of the world of their choice and in the area in which they desire to do research. The college, despite its limitations, assures its stakeholders, through the team of available dedicated and qualified teachers, with exploitable resources, products with skills and human being with values which considerably contribute in ‘nation-building’.